Casey Currie comes from a Motorsports family that has been in business for over 50 years building high-performance rear ends for off-road and NASCAR style racing. 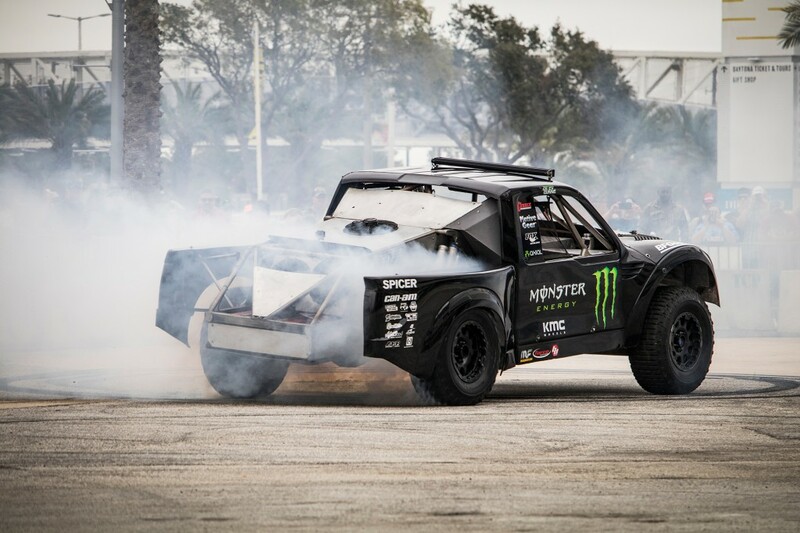 Throughout his career, Currie has competed in various off-road series like MDR, participated in events like the Baja 1000 and King of the Hammers, and he has become recognized by the off-road industry as a voice of the young, up-and-coming generation of off-roaders. 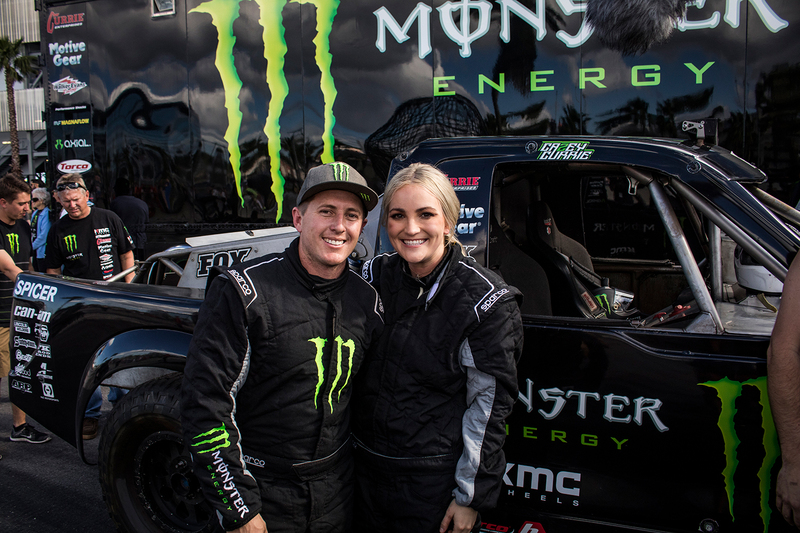 “It’s awesome to take part in these events and run into people who know my dad’s work,” said Casey Currie, an off-road racing MagnaFlow ambassador. 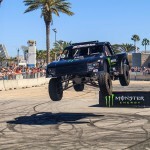 Currie drives an off-road style desert truck in the NASCAR Smoke Show events, a recent addition to the NASCAR race event format by the series title sponsor, Monster Energy. The activation brings smoke, noise, tire-slaying, and high-octane jumps to get the 100,000 strong crowds ready for the epic on-track action that NASCAR fans have come to expect. 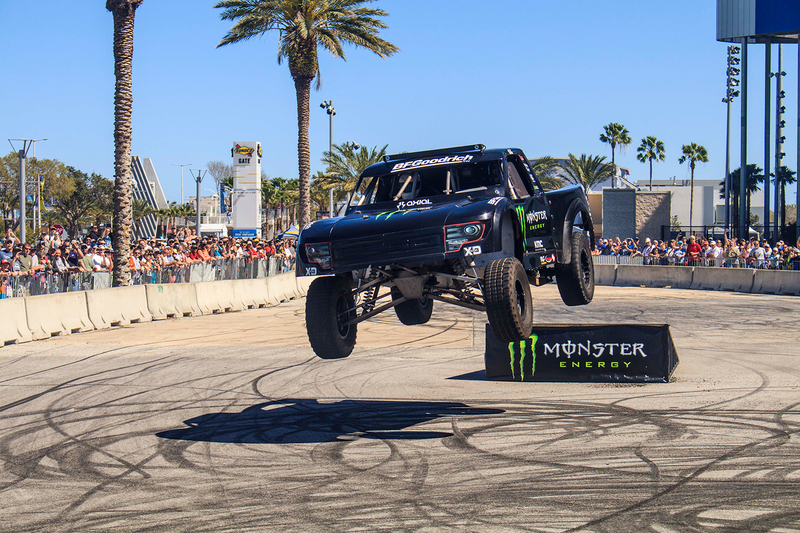 During the Smoke Show, fans can see Currie drift his truck, fitted with Magnaflow exhaust, around obstacles and launch the truck into the air with jumps and ramps to get the crowd excited. Other drivers from different forms of Motorsports are also seen performing daring jumps and tricks. Other drivers that have participated alongside Currie include FMXs heavy-hitters Jeremy ‘Twitch’ Stenberg, and Keith Sayers, as well as BMX legend Scotty Cranmer and stunt riders from Unknown Industries. Over the course of the event, Currie says he shreds eight tires and the truck takes more abuse from the asphalt then it would if it were doing the same things off-road. Currie has several events on the schedule for 2018 he’s looking forward to more NASCAR smoke shows this year.